End of the Year Book Survey Responses ~ Love.Life.Read. One of my favorite blogs to read is The Perpetual Page Turner. Are you familiar with Jamie's blog? She is also one of the fabulous co-bloggers of The Broke and The Bookish--the blog that brings the ever popular Top Ten Tuesday. This is my first year being able to participate in Jamie's end of the year survey. This is my first foray into posting a summary of my year--and what a crazy year this has been! 2: Book You Were Excited About & Thought You Were Going to Love More But Didn’t? 3: Most surprising (in a good way!) book in 2013? Unearthly series by Cynthia Hand and Sweet series by Wendy Higgins--my first foray into angel books and I have to say I enjoy them. I am going to continue explore these books in the upcoming year. 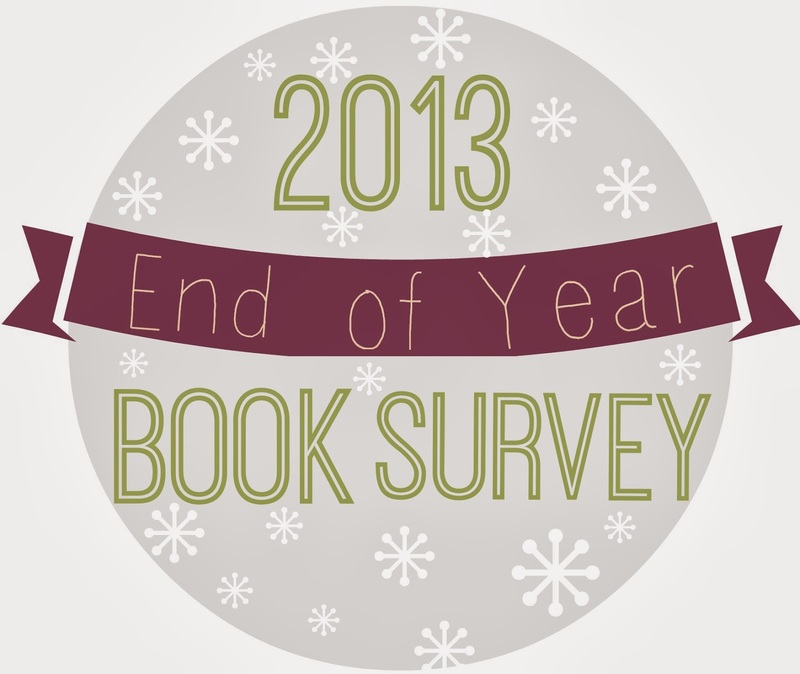 4: Book You Read in 2013 that you recommend to people the most in 2013? The Unearthly series would be high up there as I read it during this year. I did not read Divergent in 2013, but I would definitely say I been recommending it quite a lot. These past several weeks I CANNOT recommend Fangirl enough as I just read it this past month. Lastly, anything by Miranda Kenneally—one of my favorite authors that I just love that I just feel keeps getting better with each book being published. 5: Best series you discovered in 2013? Unearthly by Cynthia Hand—LOVED it. I also enjoyed Starcrossed by Josephine Angelini. 6: Favorite new author you discovered in 2013? 7: Best book that was out of your comfort zone or that was a new genre for you? Marie Lu’s Legend series is probably the standout this year. I am not a huge dystopian/science fiction reader so I am not one to race out and pick them up but I devoured them and loved all three of them this year. 8: Most thrilling, unputdownable book in 2013? Marie Lu’s Legend series would qualify for me as well as Wendy Higgin’s Sweet Peril. I did not want to put any of them down to go back to “real” life. 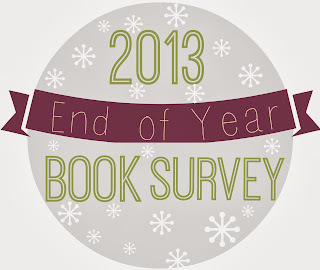 9: Book you read in 2013 you are most likely to re-read next year? Oh goodness…I go in fluctuations on whether or not I want to re-read. For me it is a comforting notion. If life is too crazy to deal with starting new books, I will pick up a book to return to get swept away in for a few moments. If I had to guess…Fangirl. 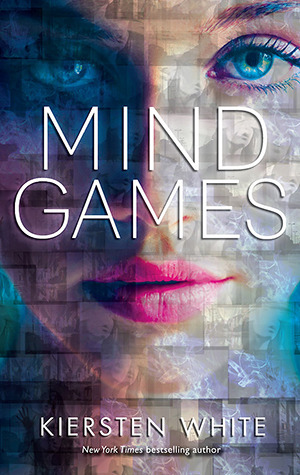 10: Favorite cover of a book you read in 2013? 11: Most memorable character in 2013? Beth from Dare You To by Katie McGarry is probably a character that will stick with me for quite some time. 12: Most beautifully written book read in 2013? 13: Book that had the greatest impact on you in 2013? Hmm…that is a tough one. I think each book gives me food for thought in some different ways. Thing’s I Can’t Forget and Racing Savannah by Miranda Kenneally as well as In Honor by Jessica Kirby would be three that immediately pop into mind. 14: Book you can’t believe you waited until 2013 to finally read? I think it would be the Fallen by Lauren Kate (I read the whole series this year). 15: Favorite passage/quote from a book you read in 2013? “I feel grace. Warm and flowing like a river, it pours over me. I am awash in grace and cannot help but raise my face to it as I would to the sun. I want to laugh as it rains down on me, ripples through my limbs, cleanses them of fatigue and self-loathing. I am reborn in this grace, and suddenly, I can do anything” (pages 522-523). 17: Book that had a scene in it that had you reeling and dying to talk to somebody about it? Boundless definitely!! Star Cursed by Jessica Spotswood—OMG that ending!! And the big one that has had a lot of people up in arms Allegiant by Veronica Roth. No spoilers here please!! 18: Favorite Relationship from a book you read in 2013? Relationship: Cath and Levi from Fangirl (are you beginning to see how much I loved that book as many times as I have mentioned it now?) Also, the relationship in Unearthly series between the guy and girl (not going to name names as I want it to remain spoiler-free). 19: Favorite Book You Read in 2013 from an Author You’ve Read Previously? Miranda Kenneally’s Things I Can’t Forget or Racing Savannah would be high up on my young adult list easily. Sarah MacLean’s One Good Earl Deserves a Lover would easily be my favorite adult fiction title. 20: Best Book You Read in 2013 That You Read Based SOLELY on a Recommendation from Somebody Else? 21: Genre You Read the Most from in 2013? Contemporary—whether young adult or adult—it is my favorite. Historical would be second and nonfiction would be third. 22: Newest fictional crush from a book you read in 2013? If I had to go back to be a teen (and I rather not--I rather stay where I am thank you), Levi from Fangirl because he is such a GREAT guy!! 23: Best 2013 Debut You Read? 24: Most vivid/word imagery in a book you read in 2013? 25: Book that was the Most Fun to Read in 2013? Goddess by Josephine Angelini had me cheering because Helen is a strong female protagonist who can handle whatever is thrown her way. 26: Book that Made You Cry or Nearly Cry in 2013? Hallowed by Cynthia Hand—I won’t spoil it in case there are readers who have not read it who are reading this…but there are moments where the tears were rolling down my cheeks. 27: Book You Read in 2013 That You Think Got Overlooked this Year or When it Came Out? 1: One Book You Didn’t Get to in 2013 But Will Be Your Number 1 Priority in 2014? Dark Triumph by Robin LaFevers—I have been too nervous to read it! Silly I know but I really want to read it so I am going to make a point to do it in January. 2: Book You are Most Anticipating in 2014? Just one? I did not get a chance to write my Top Ten post for this topic—too busy with real life to get a blog post written. :-/ I think off hand Isla and the Happily Ever After by Stephanie Perkins and Never Judge a Lady by Her Cover by Sarah MacLean are two of the at the VERY top of my list. 3: 2014 Debut You Are Most Anticipating? 4: Series Ending You Are Most Anticipating? 5: One Thing You Hope to Accomplish or Do In Your Reading/Blogging in 2014? I want to continue to grow as a reader/blogger. I want to continue to explore. I want to make sure I have FUN—to not feel like it is a job or get swept away with feelings of inadequacies or insert whatever other name for feelings that bring me down in relation to Love. Life. Read. I'm glad to have read your book survey!! I also participated in the 2013 End of the Year Book Survey. I've recently purchased Grave Mercy by Robin LaFevers & with your glowing review, I now look forward to moving up to be read pile! I loved it--I hope you do too. I will definitely come by and read your survey. It has been on my list to visit survey participants. :) Thanks for stopping by and commenting! Dreamy December Days Read-a-Thon Day 4 Updates!